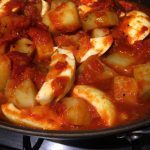 This is a winter warming dish, very delicious quick and easy to make, we love making this dish and we hope you do too. After a long day you want to come home and make something tasty and simple, this is the ideal recipe and you cannot go wrong. It is perfect for people who are trying to loose weight and keep healthy as the potatoes (carbs) will give you that long term energy and the eggs (protein) will keep you away from hunger. It is normally eaten with naan or roti but you can eat it with whatever you like, e.g. bread or take some potatoes out and add in quinoa or rice. its up to you. Take a heavy saucepan add oil and heat on a medium heat. Add chopped onion and cook until golden brown. Add the chopped tomatoes and cook for 2 to 3 minutes until the tomatoes are dissolved. Add ginger and garlic paste, and all the dry ingredients leaving the garam masala. Cook for further 3 minutes until the oil comes to the surface. 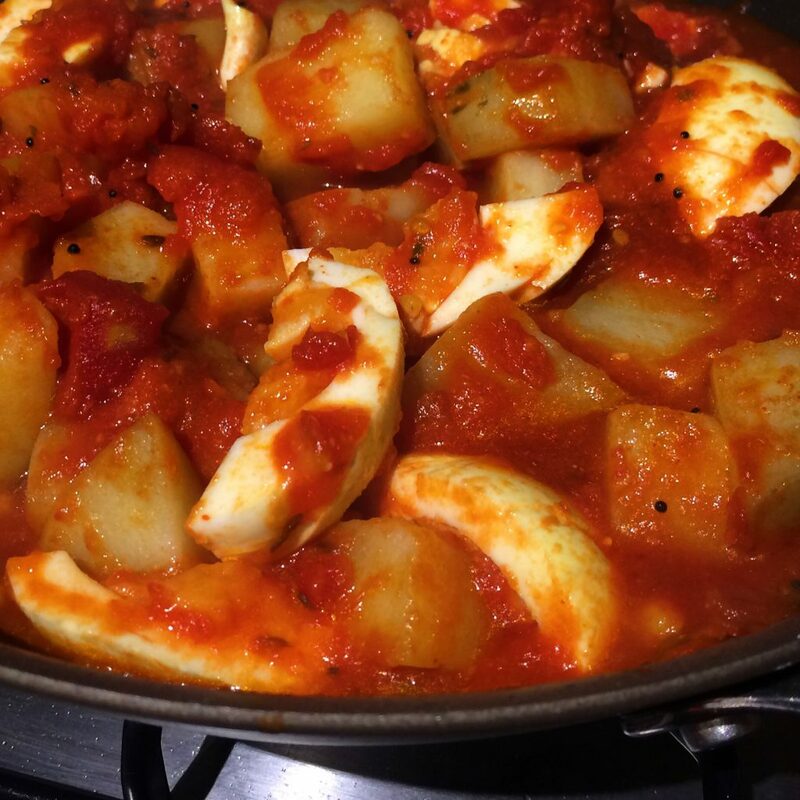 Add the potatoes and before putting the eggs ( The eggs can be cut in half or left whole with a just a slice cut so that the sauce can go through). Add water depending on how thick or runny soup you require. Bring it to boil, it shouldn't need log to cook as both eggs and potatoes are pre cooked. Add coriander and finally garam masala.